VANCOUVER - A new way of checking blood cholesterol levels is now in effect in British Columbia but a health-care provider says public awareness remains low about the change, even though it provides better results for doctors and is much easier on the patient. Providence Health Care says fasting is no longer required for lipid tests to measure cholesterol. The Canadian Cardiovascular Society adopted non-fasting guidelines for lipid tests in 2016 but the recommendation was only recently accepted by the B.C. Ministry of Health and lab requisition forms were changed at the end of last year. An awareness campaign by Providence Health, which offers general medical care at several hospitals in Vancouver, has begun out of concern that few doctors or patients are aware of the change. Dr. Gordon Francis, director of the Healthy Heart Program Prevention Clinic at St. Paul's Hospital in Vancouver, says the change will have a "very large impact." He says patients can now go straight from their doctor's office to a lab for a blood test, rather than waiting until it is convenient for them to fast for at least 12 hours. 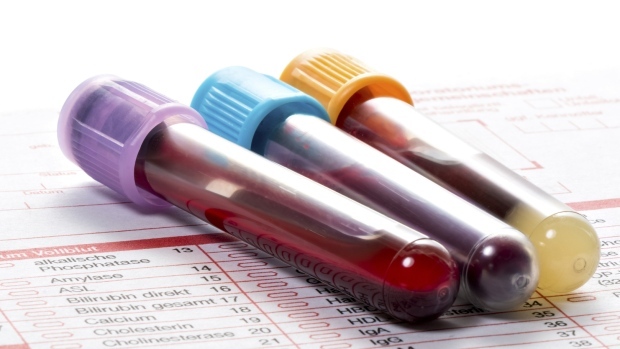 Could a blood test provide a blueprint for cancer treatment?